Angela DeBoer is the Associate Professor of horn at Middle Tennessee State University in Murfreesboro, TN. She is also an active performer, playing second horn with the Chattanooga Symphony, assistant principal horn with the Huntsville Symphony, performing regularly with the Nashville Symphony and maintaining a presence in the recording studios of Nashville. DeBoer also enjoys playing period instruments having performed with the natural horn on several recitals as well as with the Atlanta Baroque Orchestra and on the baroque horn with the Music City Baroque. Ms. DeBoer holds a Master of Music degree from Northwestern University and a Bachelor of Music from DePaul University with additional studies in the Orchestral Performance program at the Manhattan School of Music. She has held positions in and performed with many orchestras across the country including the Tulsa, Milwaukee and Grant Park Symphonies and the Civic Orchestra of Chicago. 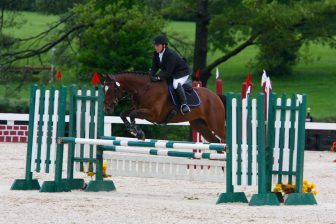 Outside of her musical endeavors, Angela competes around the southeast in Three Day Eventing (horse triathlons) with her horse Christopher.